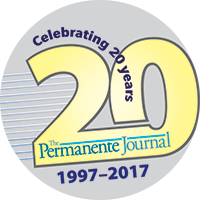 The Permanente Press, in conjunction with The Permanente Journal presents this medical literary and arts e-journal, leaflet -- to open greater opportunity to share the creative visual and written works of physicians and nurses. A couple of years ago at the Northern California Physician Wellness Conference in Squaw Valley, a group of physicians gathered to create and share stories as part of a wellness exercise in narrative medicine. As sunlight sparkled on the snow and lake outside, physicians put pen to paper to tell stories of their own lives, both personal and professional, and their patients’ lives, tragic and joyful. These “Quick Writes” tell of humanity and empathy: A woman who cooked; an elderly couple struggling with dementia and end of life; a physician struggling with guilt; an adult daughter, now a mother, reaching out to her physician-mother for medical advice. These stories, created in 15-minute writing sessions and then minimally polished, demonstrate the power of what can be done in just a few minutes. Companion to these written pieces, I have chosen images: Paintings that explore science and medicine, and photographic artwork, mostly landscapes, on which to feast your eyes. It is my privilege to be able to share these very personal moments with you and to share in these human experiences. Health care professionals and employees submit your poetry, prose, and artwork for future issues. Contributions to leaflet are submitted through the TPJ Web site.